Our windsurfing area is at the entrance of Isuledda, on the Eastern bay in a reserved area featuring excellent conditions for freestyle, slalom, speed, bumb&jump and 10 meters far from the Western bay. Lessons for all levels held by instructors with FIV and VDWS international license. All lessons include the hire of the necessary accessories - wet suit, trapeze, life jacket - and insurance. We provide the latest models of the best equipment: JP, NeilPryde. Who attends at least 2 beginner lessons is entitled to a 20% discount on equipment utilization to optimally consolidate the progress just made. A fun windsurfing approach for our younger friends. 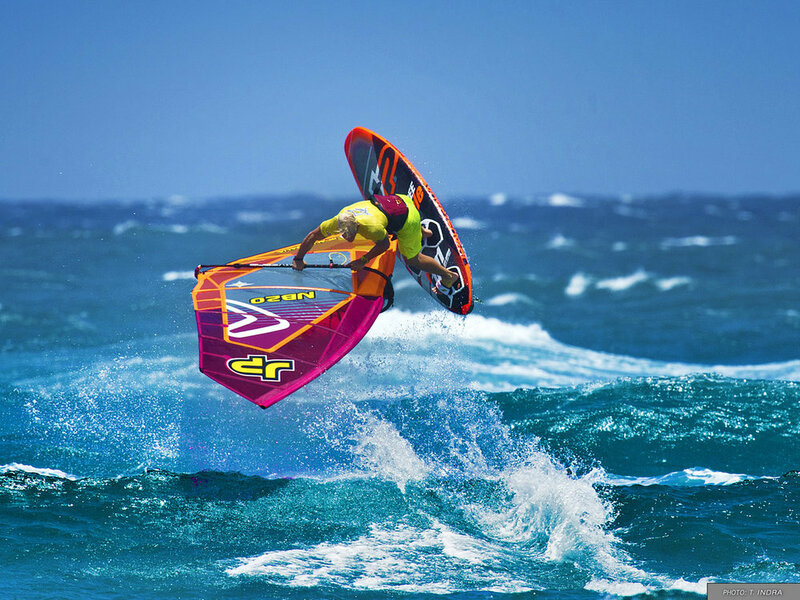 Lightweight last generation equipment specifically created for our future windsurfers! Our beginner classes take place in the bay that offers the simplest conditions for our trainees, thus providing a fun, safe and stress free learning. After this course you will have more confidence in the water. At the end of this course you will be able to exit with stronger wind like 14 -20 knots. Speed loop and many other tricks! Nothing is too radical for our instructors who will teach you the first maneuvers with the theory and then with practice in the water.